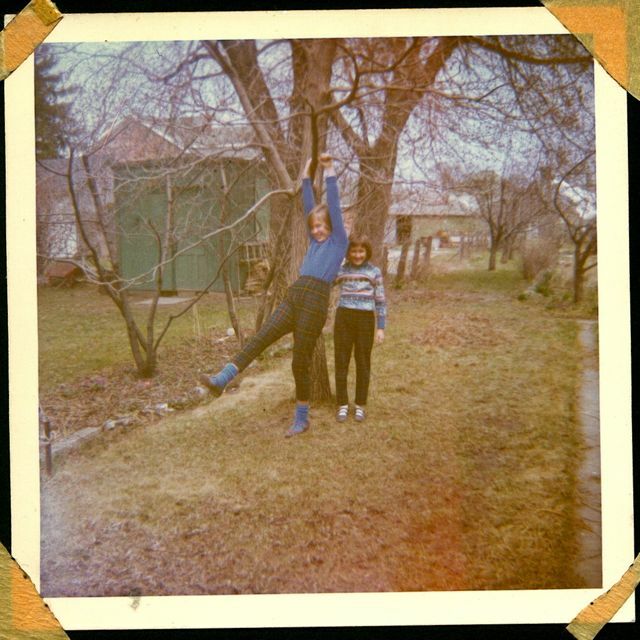 I love the picture of you two from days of yore. Catalpas were widely planted in my city, too, and played a part in my childhood. I even tried to smoke an "Indian cigar" – silly girl! Thanks, Ilona. 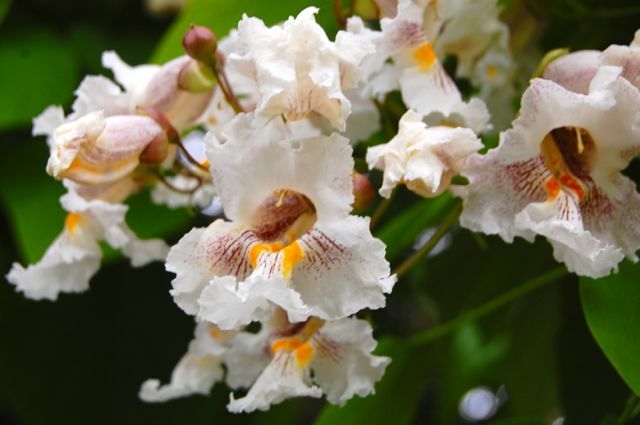 When we were kids, we thought "catalpa" sounded Italian (the tree is called "catawba" in some regions). I was surprised to learn that it's a native North American tree, although not native to Ontario. At least, not since the latest ice age. There are a few catalpa trees in Toronto with extra-thin bean pods that persist all winter. They fringes they make are actually quite decorative. Delicacy . . . and exuberance. Exactly what called to me on this drab February day. A favorite tree, especially the golden-leaved one! The golden leaf one is a beauty. And even the species is so generous with flowers. Nice to see a fully grown golden Catalpa. I've got one in my garden that I keep coppiced. 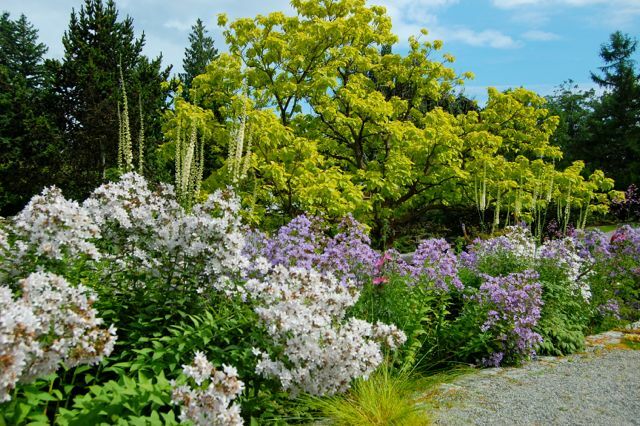 Makes for great foliage in the border. Hope I can continue to keep it under control. Do you find that coppicing makes the leaves extra-large? That's what happens with the pollarded versions in my neighbourhood and, if memory serves, the lopped-back trees don't flower. Is that your experience? 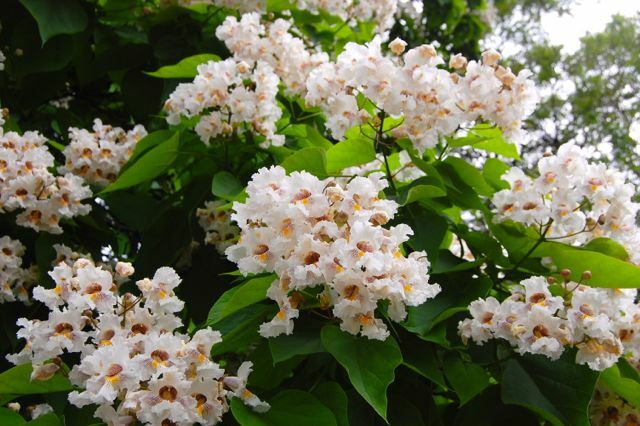 Yes, coppicing makes for larger leaves, and since Catalpa flowers on old wood, no flowers. 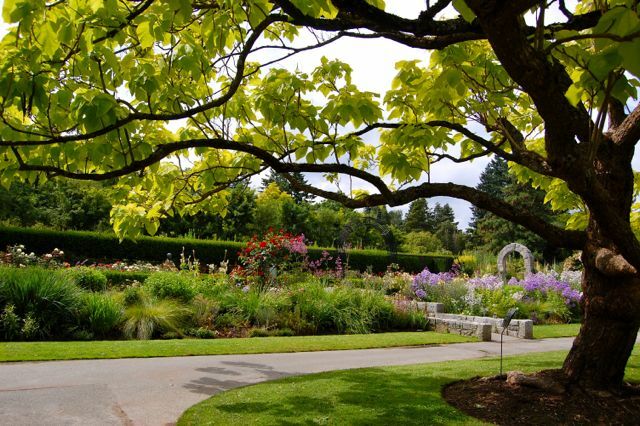 Van Dusen Botanical Garden looks like a beautiful place! Catalpa trees are pretty common down here in NC but I haven't seen any specimens as full and distinguished-looking as the ones you've shown. 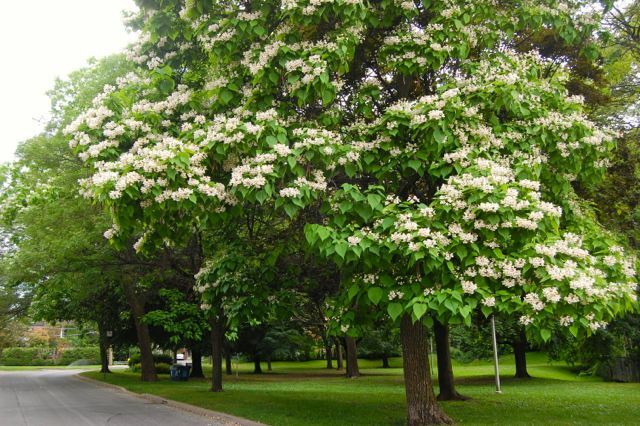 Hi Helen, do you know a specific location where I can see a catalpa tree in Toronto (maybe two).